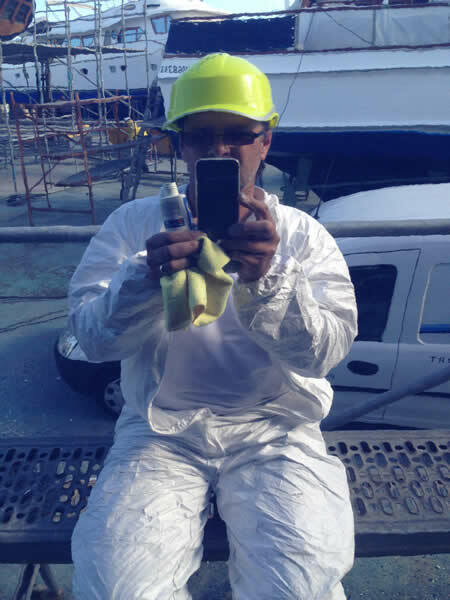 “Just having had her annual A-Glaze refresher coats”. 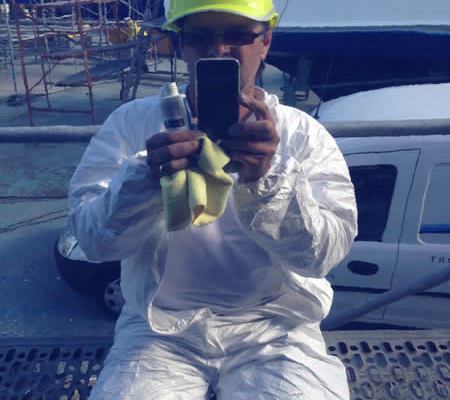 Paul didn`t need a mirror to do his hair ! 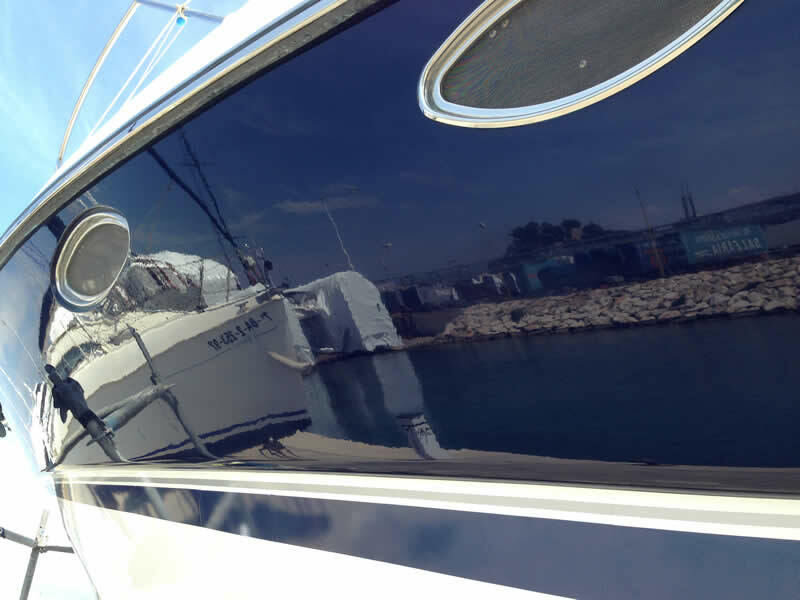 The reflection off the hull did the job ! 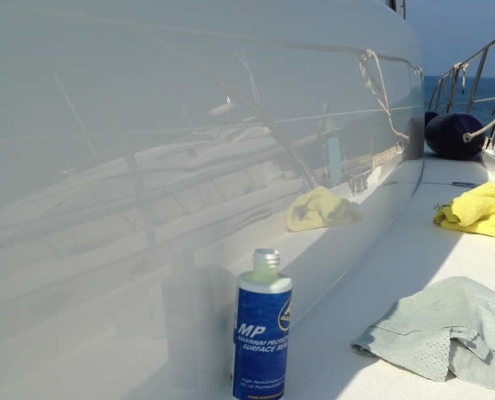 needless to say the prescribed medication brought back its beautiful gel coat colour. 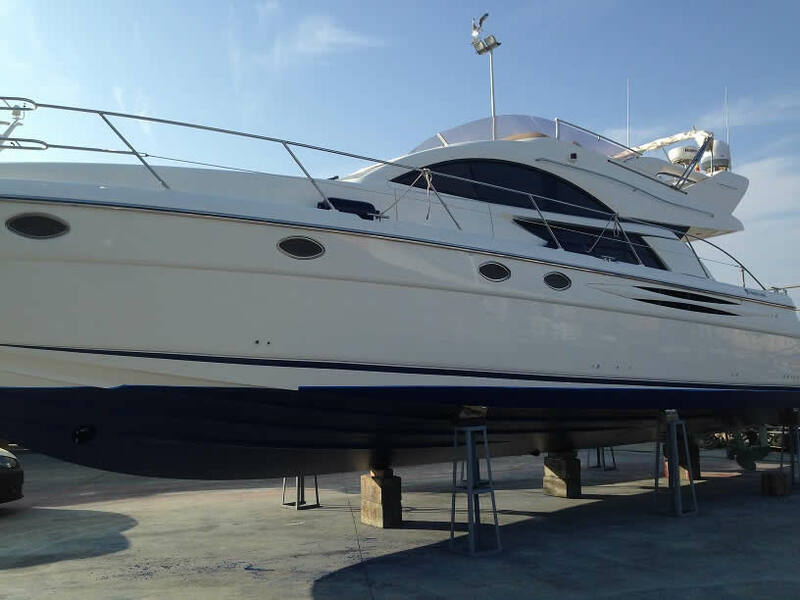 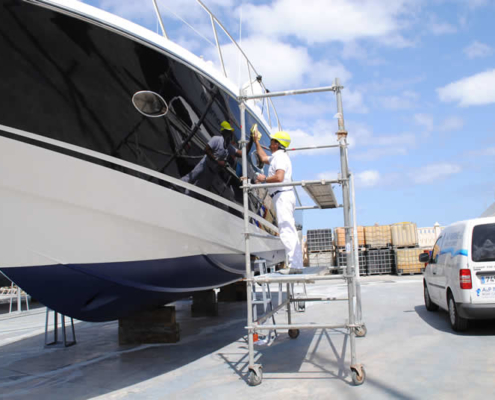 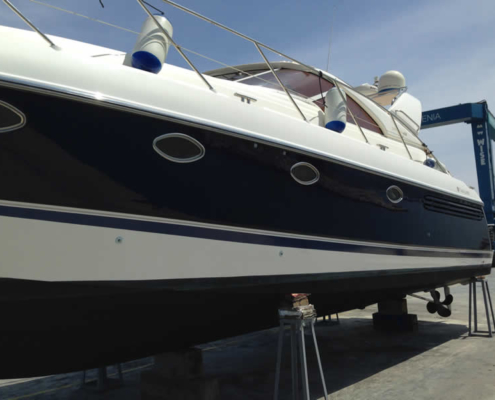 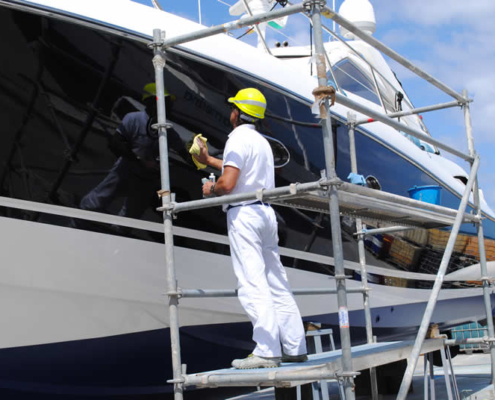 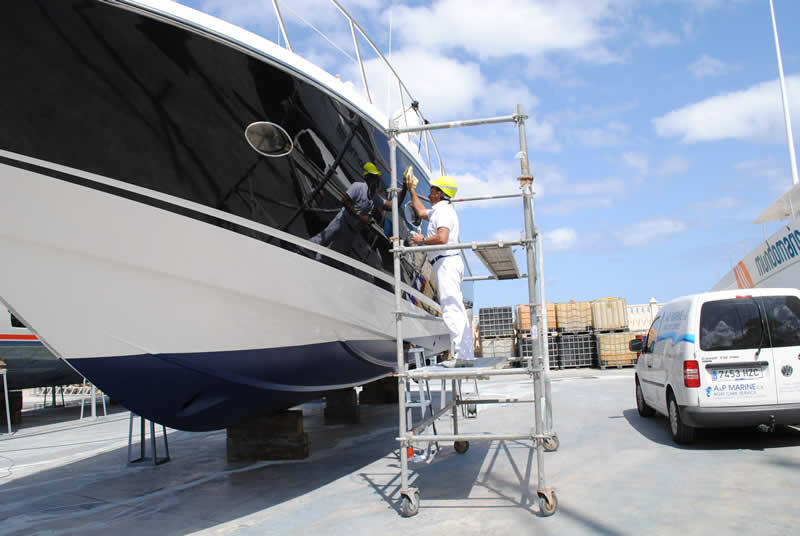 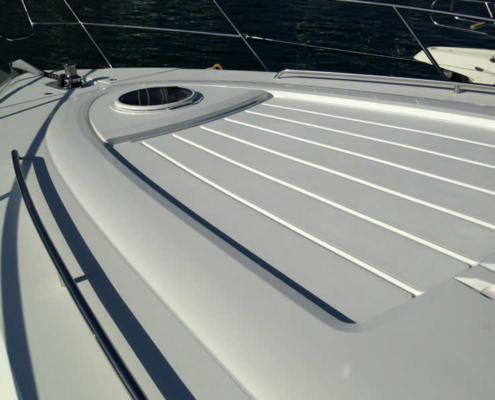 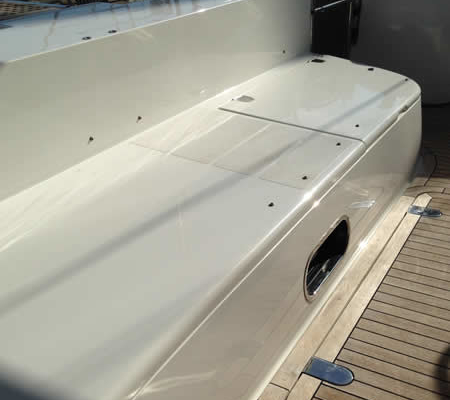 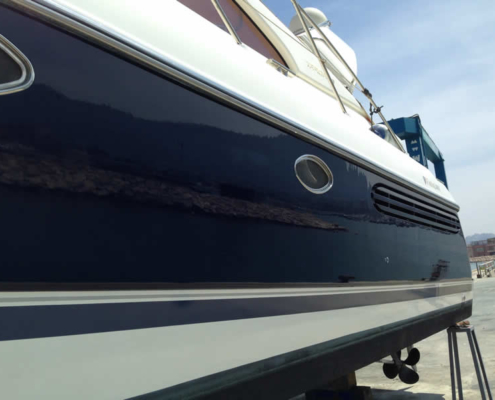 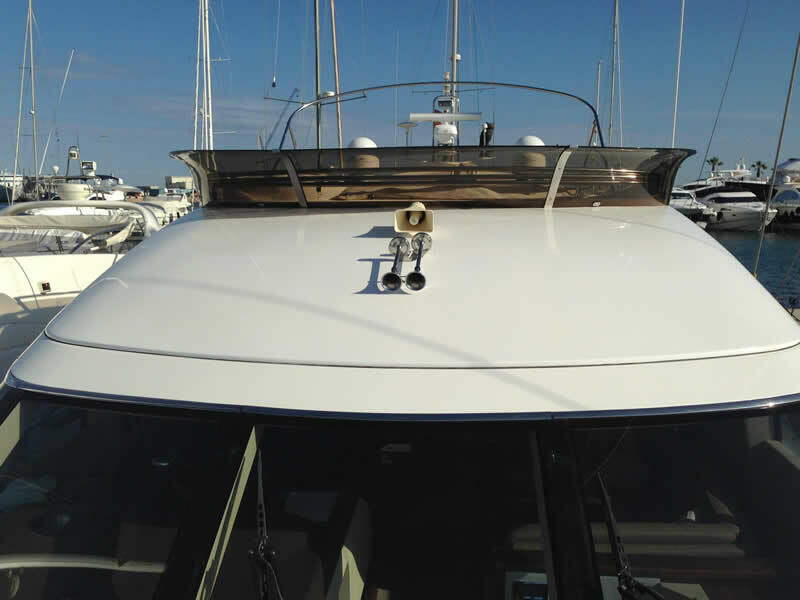 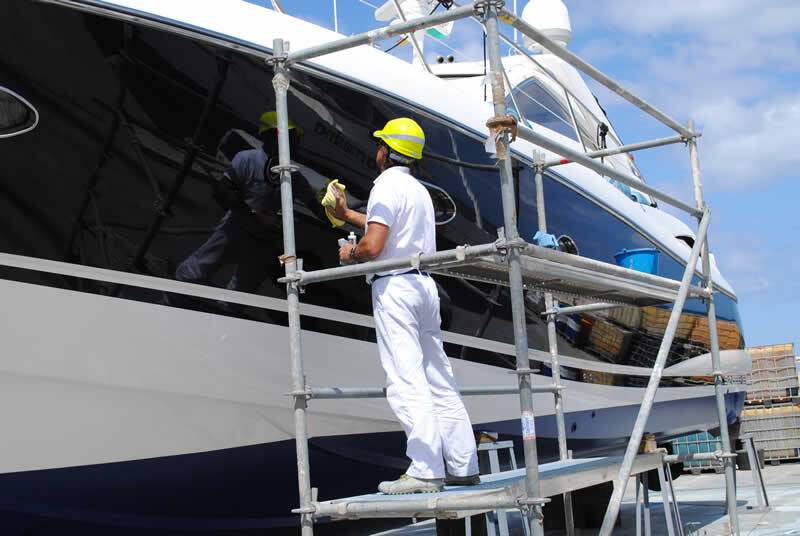 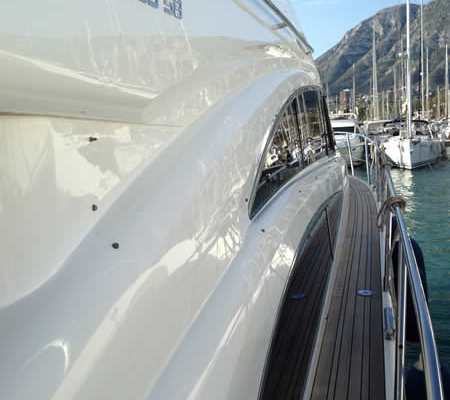 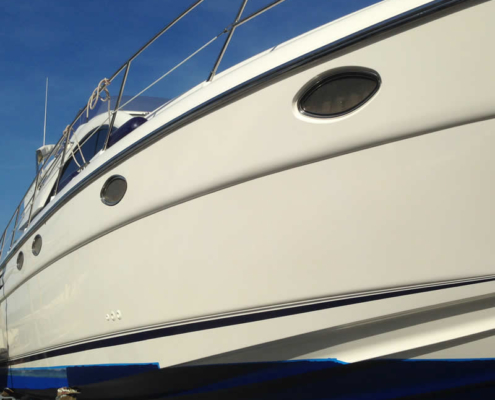 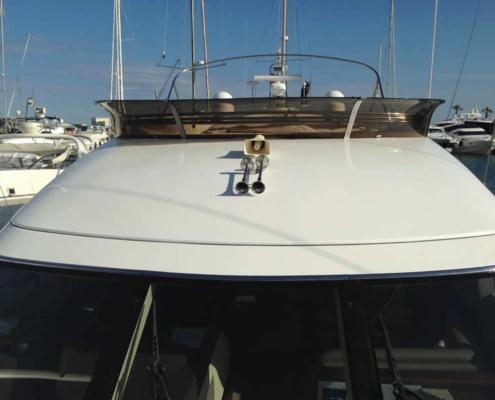 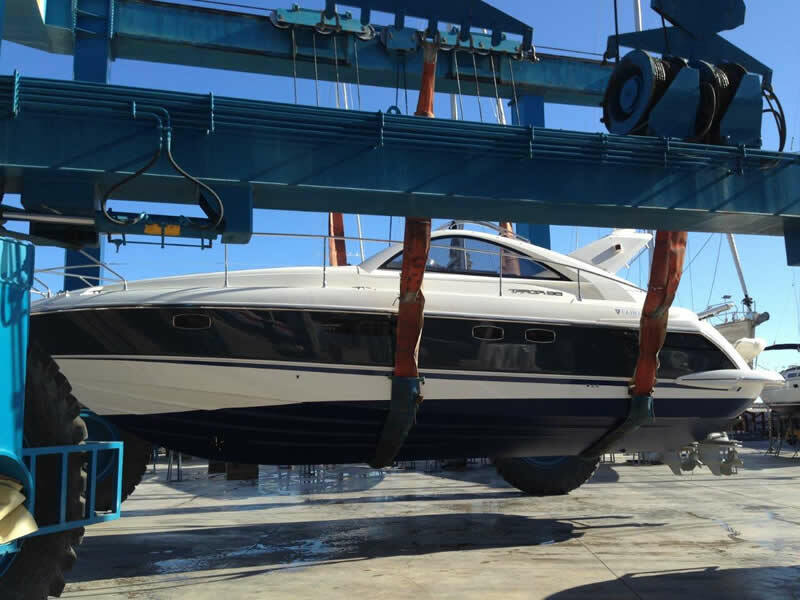 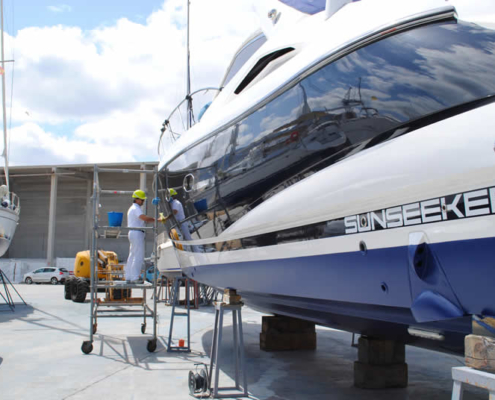 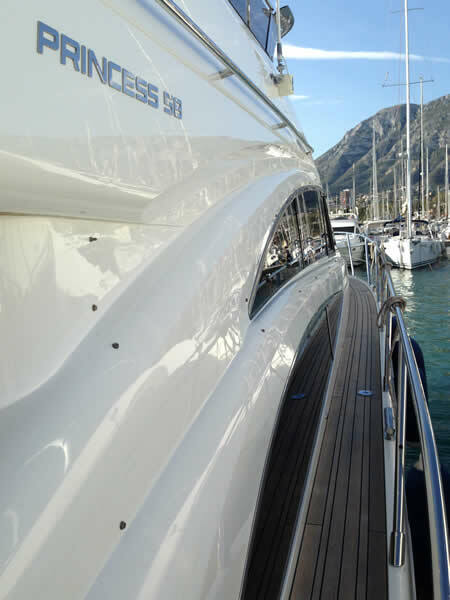 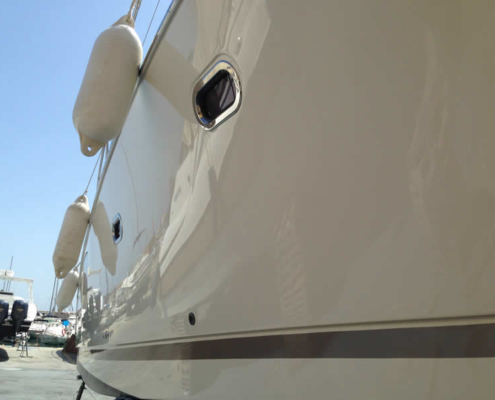 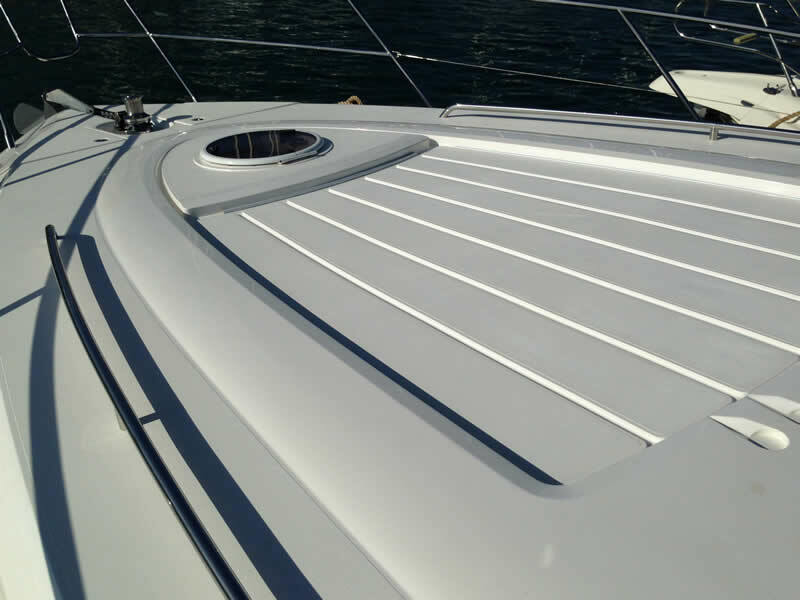 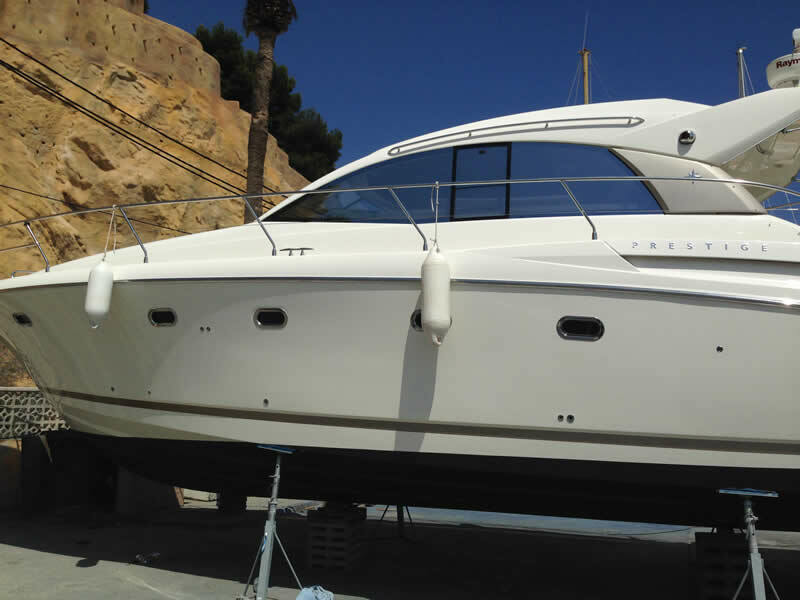 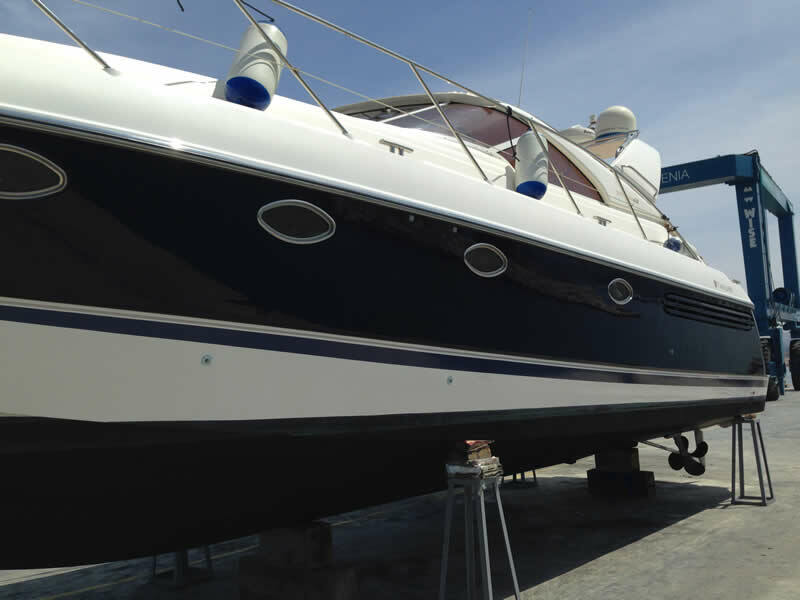 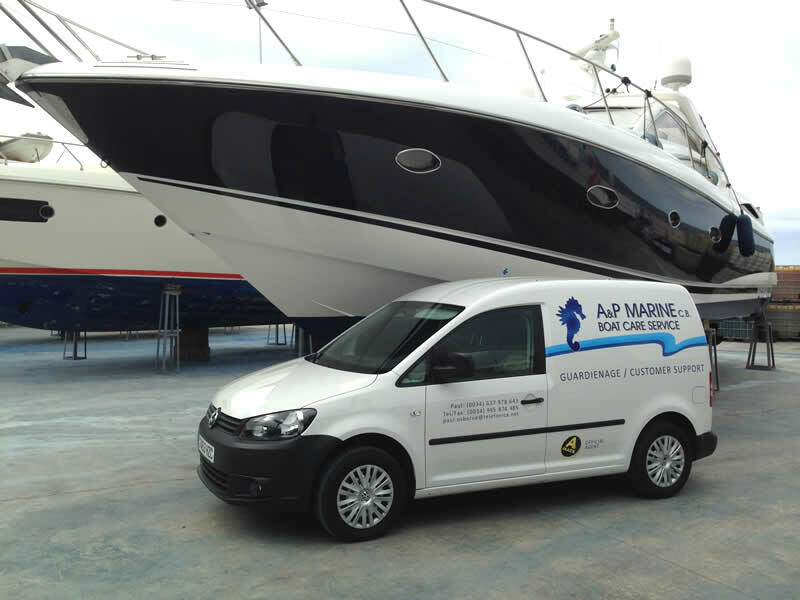 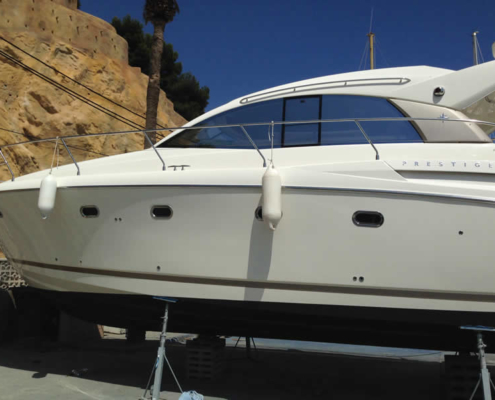 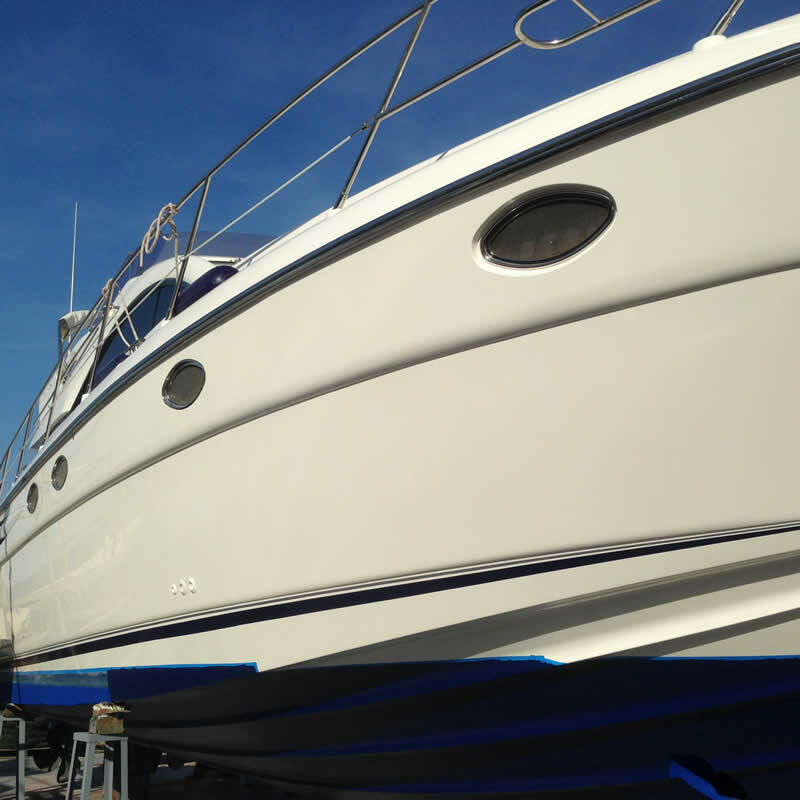 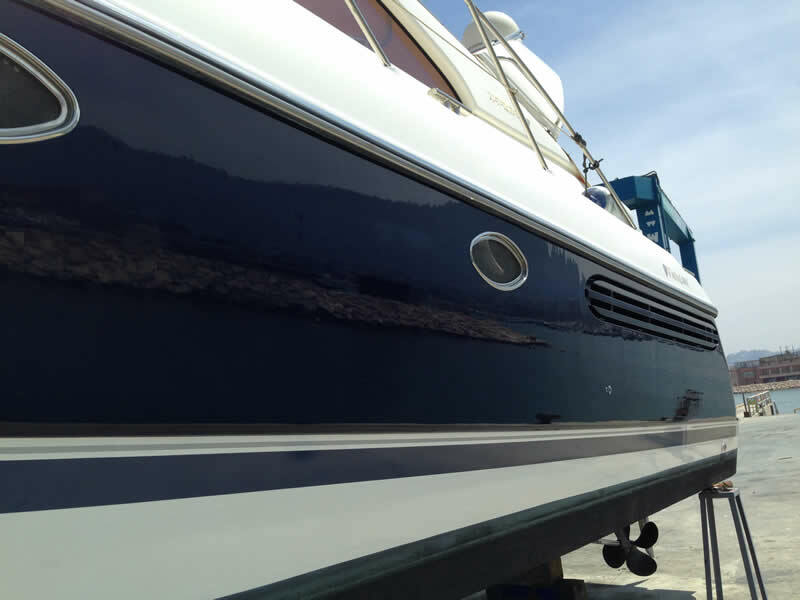 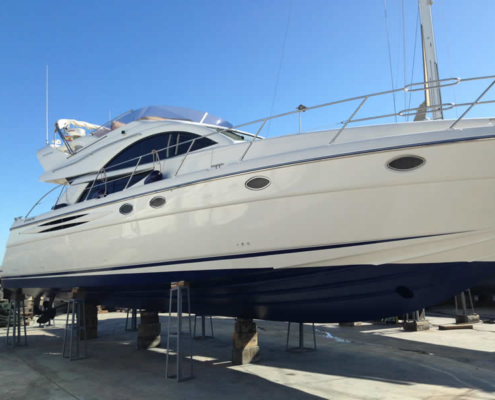 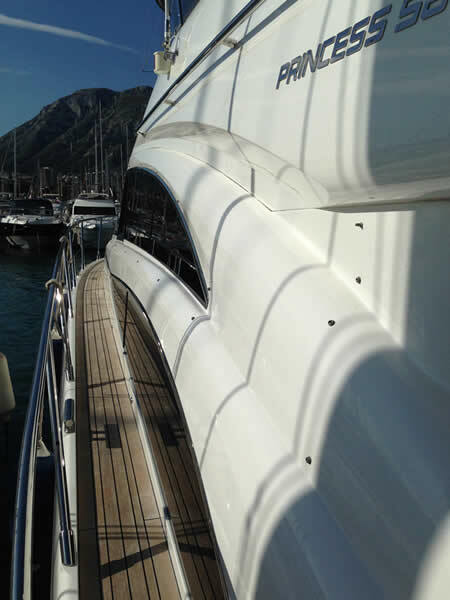 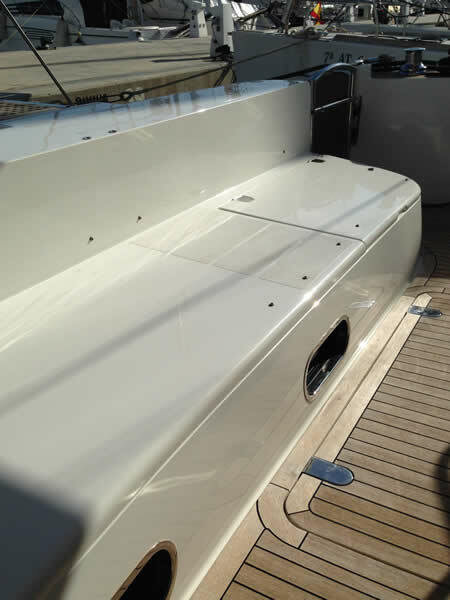 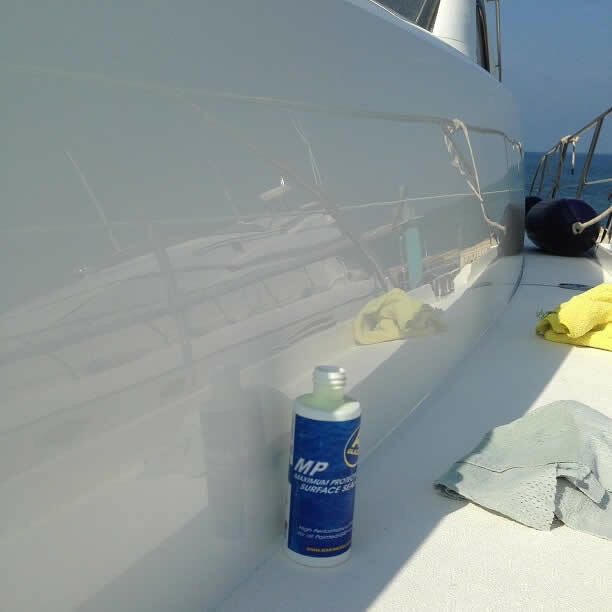 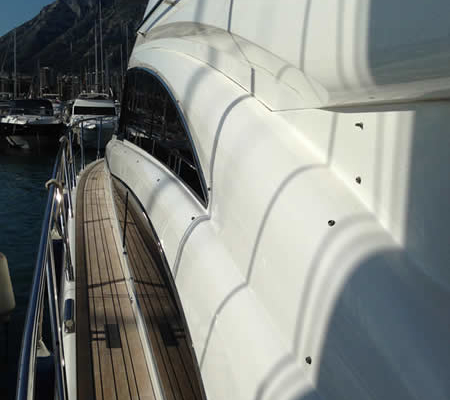 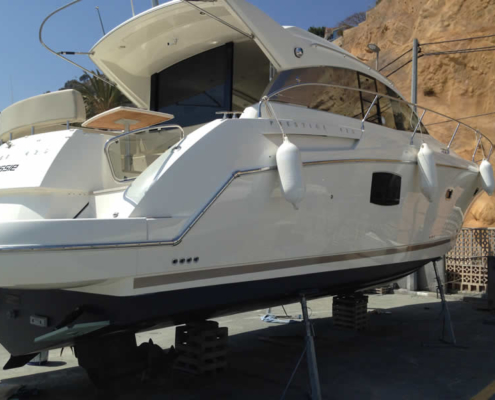 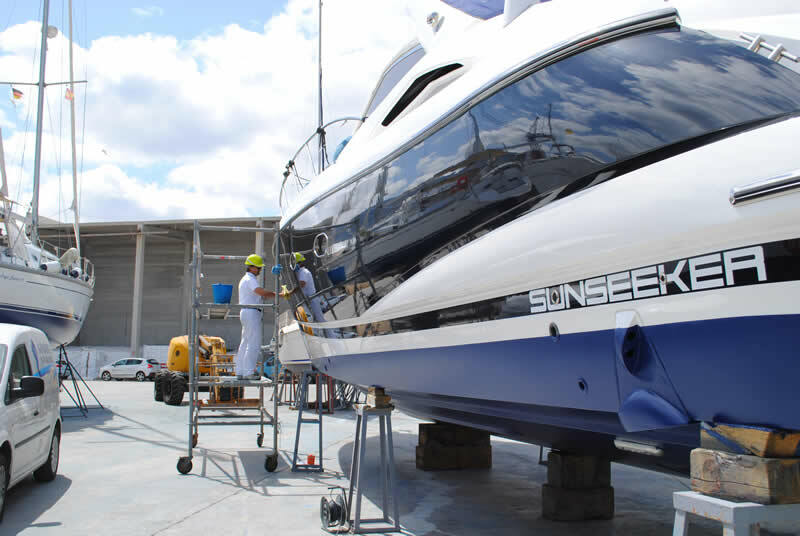 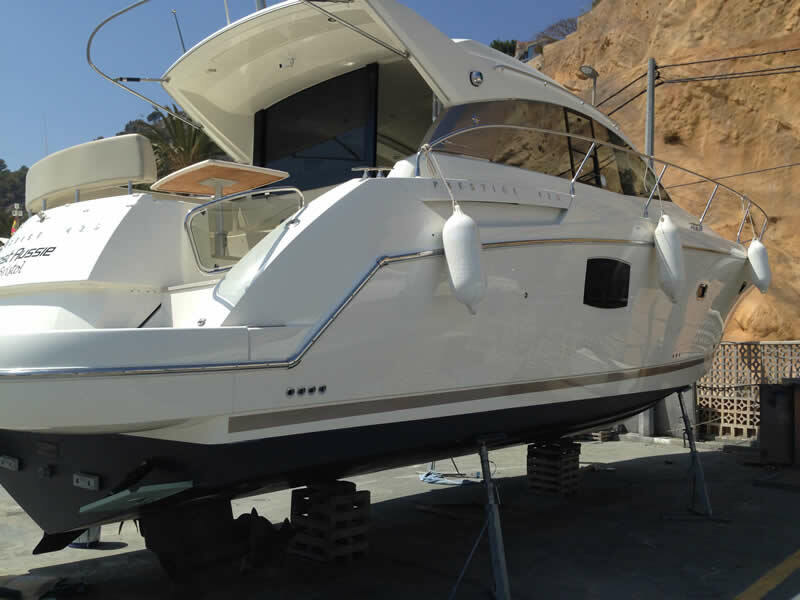 The Princess 58 has received her coats of A Glaze to make her shine for 2015. 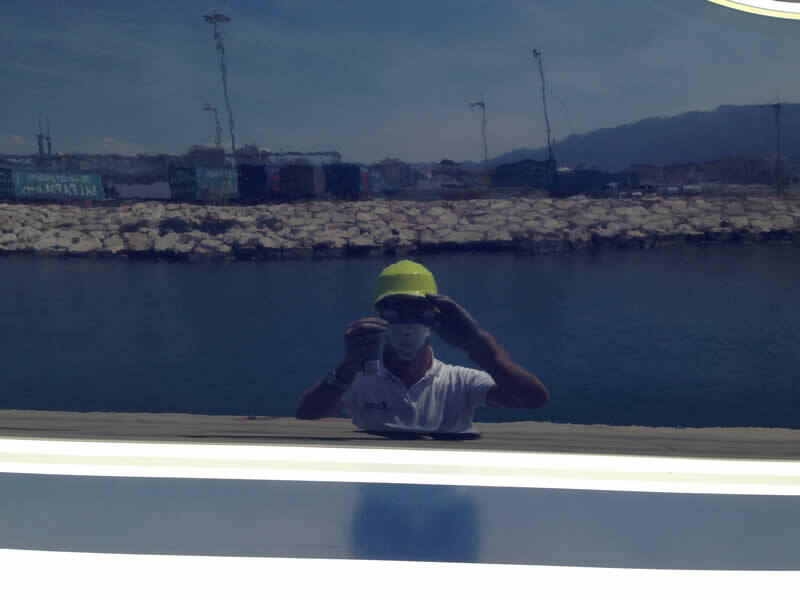 Its simple, use the reflection of a boat which has been A glazed.